Our Vic League 1 Reserves Women played well and fought hard but unfortunately, it wasn’t enough to beat the former premiership league reserve team, with a final score of 1 – 3. 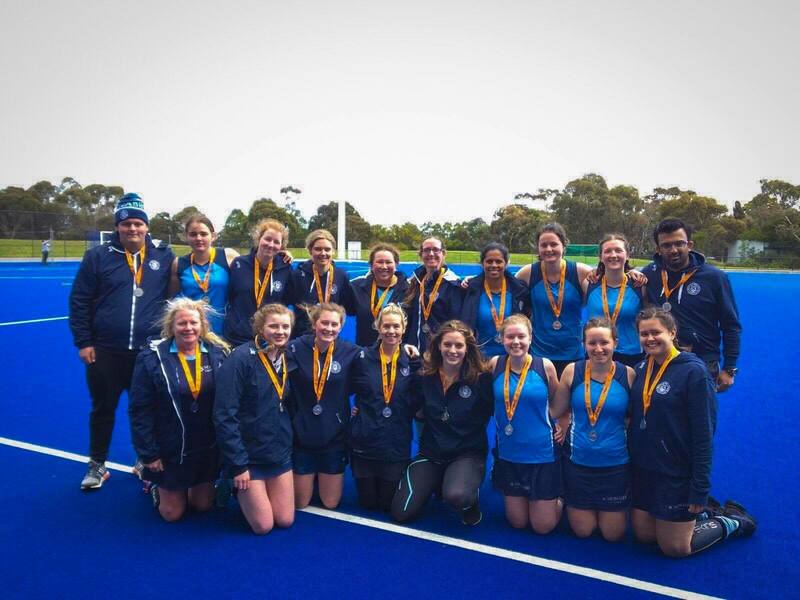 Congratulations to Powerhouse St. Kilda Hockey Club on a fantastic season, you absolutely dominated the league. However, we do hope we made you a little nervous going into the grand final. Huge thank you to coaches Matt Mcindoe and Ivan Britto for their dedication to the team. Matt met most of the players for the first time at the beginning of the year and has done well to integrate into the team. Thank you and goodbye to Gabby Sylivris who is moving to Bendigo. Sad to see you go Gabby but so happy to have had you sharing your amazing skills and selfless game style with our club! Celebrating success – Well done Sarah!